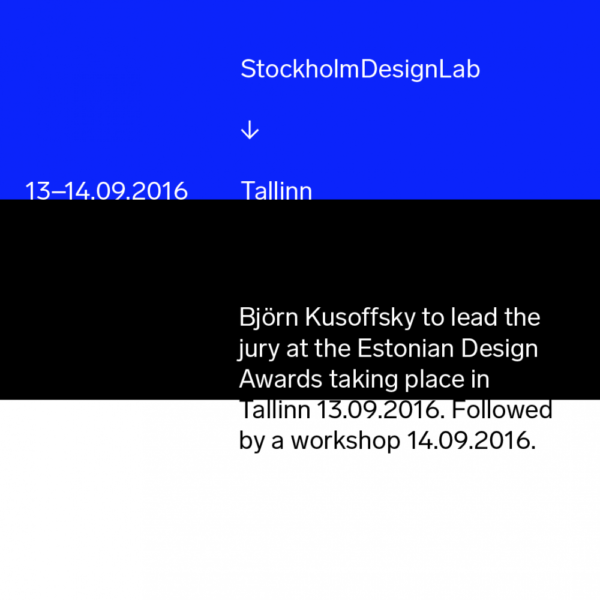 Björn Kusoffsky to lead the jury at the Estonian Design Awards taking place in Tallinn 13.09.2016. Followed by a workshop 14.09.2016. Read more (in Estonian) and buy tickets here.